Don’t miss this opportunity to collaborate and network with other healthcare IT professionals and gain valuable insights and understanding on the impacts of MACRA! Valinda Rutledge is currently the Vice President, Public Payor Health Strategy, in the Care Coordination Institute at Greenville Health System, SC. 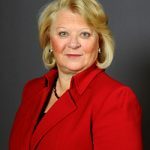 She previously worked as a member of the leadership team (Senior Advisor and Patient Care Model Group Director) at the Center for Medicare and Medicaid Services Innovation (CMMI) where she helped build the Innovation Center from its startup phase and managed the design and launch of several of the Center’s models. Before joining CMS, Valinda served as the Chief Executive Officer of CaroMont Health in Gastonia, North Carolina. Valinda holds a Master of Business Administration degree from Butler University in Indianapolis and a Master of Science degree in nursing from Wayne State University in Detroit. 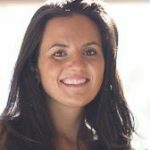 Maggie O’Keefe is the Product Line Director, Operations and Performance Management, at Health Catalyst, a data warehousing, analytics, and outcomes improvement company. She previously was the product manager for the company’s Population Health and Accountable Care software, designed to aid the running and optimization of business for institutions entering at-risk contracts with payers, and has also served as a strategic consultant to multiple health systems employing the company’s accountable care products. Formerly, Maggie worked at CCNC Services and also brings payer experience with her from Blue Cross and Blue Shield of Montana. She holds a MS from the Harvard School of Public Health and a BA from Yale University. M. Coleman Smith has worked in healthcare for over 13 years and holds degrees from the Georgia Institute of Technology and Emory University. For the past 6 years he has been Regulatory Program Lead at Himformatics, responsible for establishing Regulatory Steering Councils and strategies for clients, specific to coordination and assistance around the financial impact of MACRA, Meaningful Use, IQR, PQRS, and other regulatory programs.